This internationally appealing book is based on a two-year case study of a group of young people as they move through their final year of mandatory schooling and into their first year of post-16 experience. It looks at their choices, the market behaviour of local education and training providers and those who help and advise these choices. The authors show that recent and current political policies for post-16 education disadvantage, marginalise and exclude young people rather than improve their life chances. 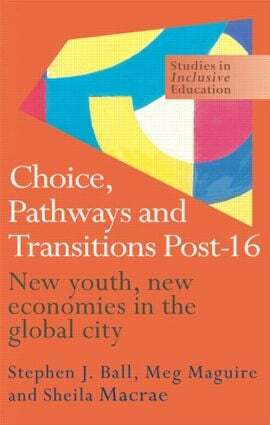 The book draws together the major issues and attempts to suggest alternative ways forward for a more inclusive post-16 education and training system.